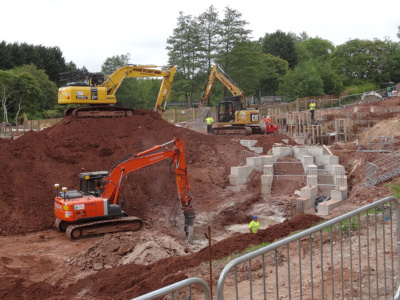 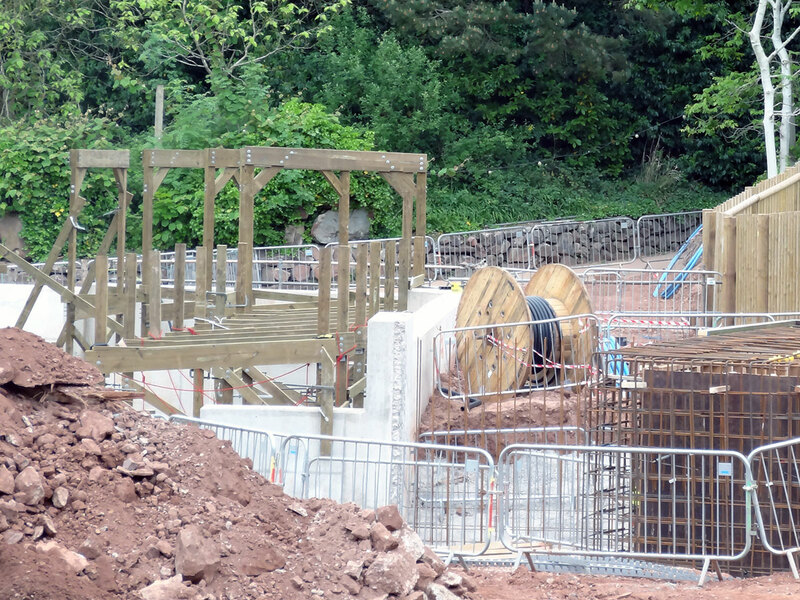 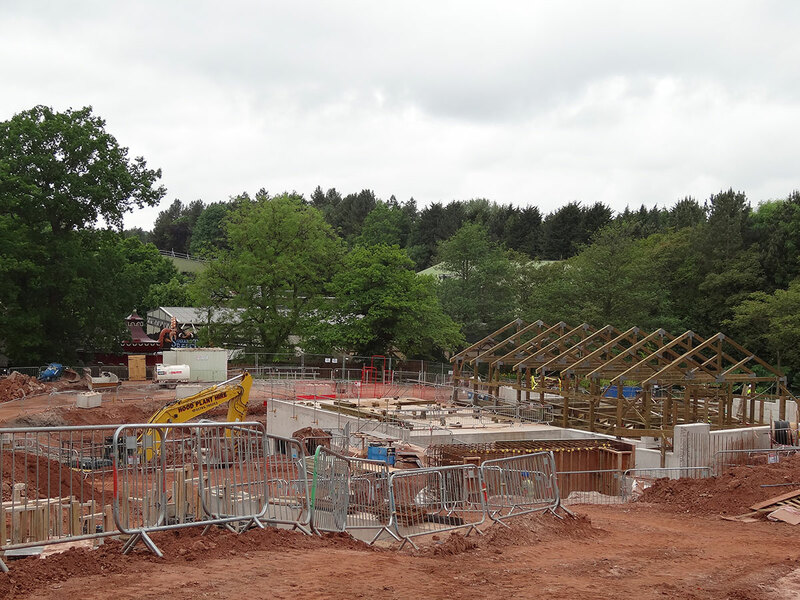 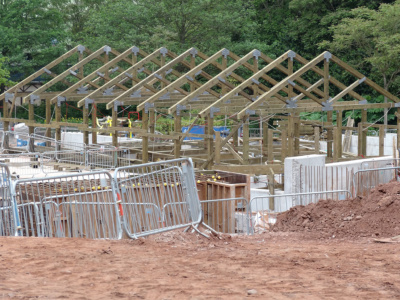 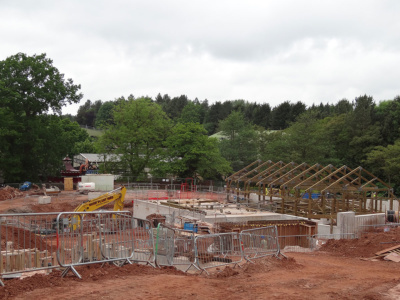 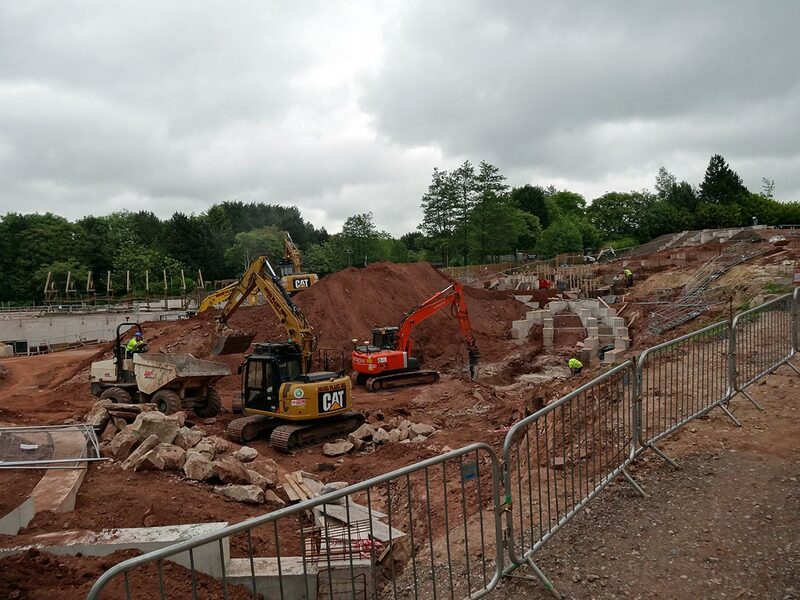 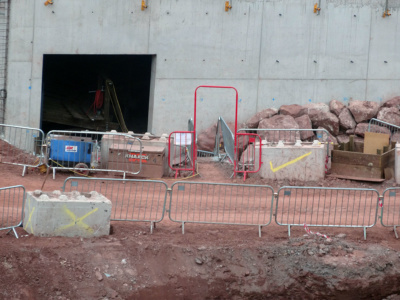 June SW8 Photo Update – TowersStreet - Your premier Alton Towers guide! Sure the weather wasn’t great, but that didn’t stop the construction team from beavering away around the SW8 construction site on Friday 2nd June. 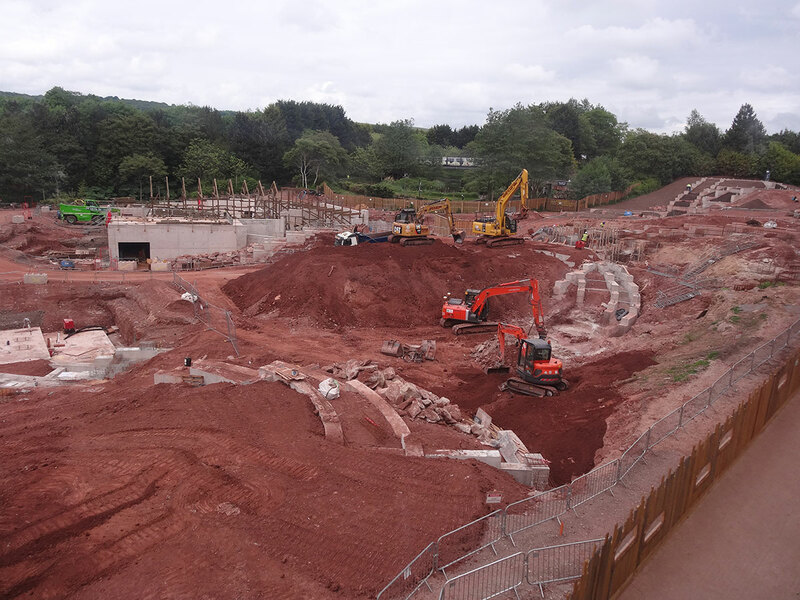 First up, the Skyride offers an excellent overview of the site and is well worth a trip to see what’s going on without fences getting in the way. 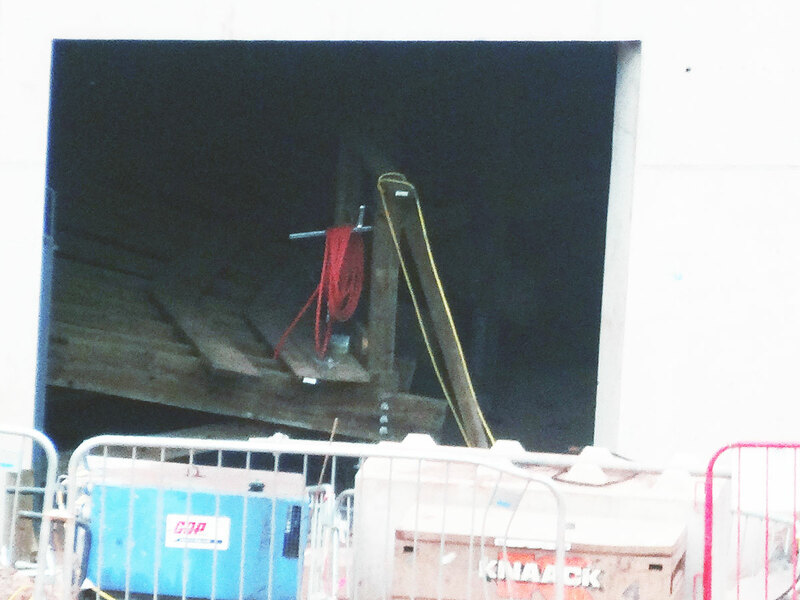 Although difficult to see, construction inside the building is continuing, as you can see in our brightness-adjusted pic. 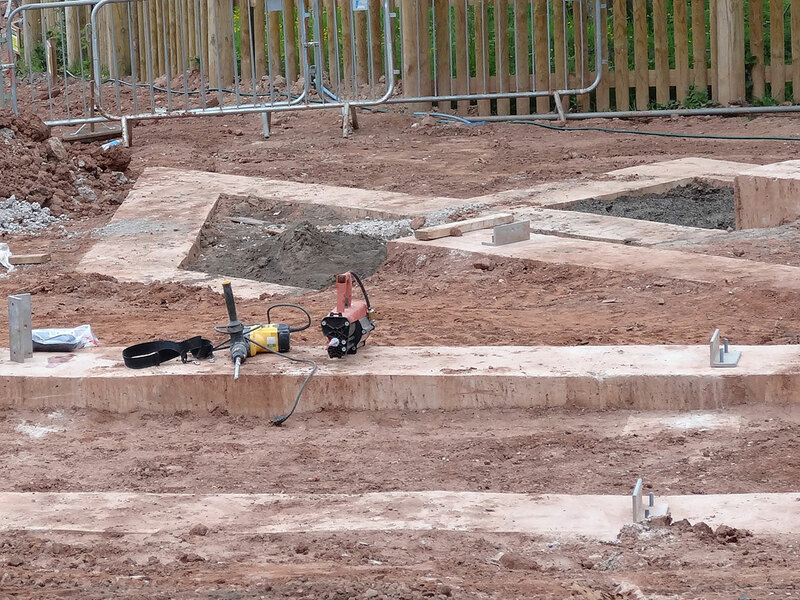 We’ve seen brackets being fixed around the site, and this work has been continuing today. 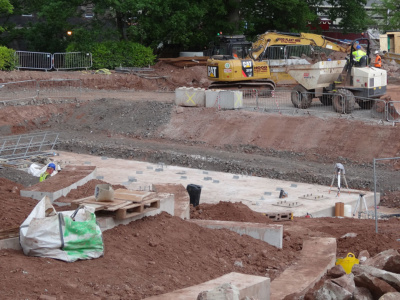 As well as positioning them, we also spotted them now being fixed into the concrete foundations. 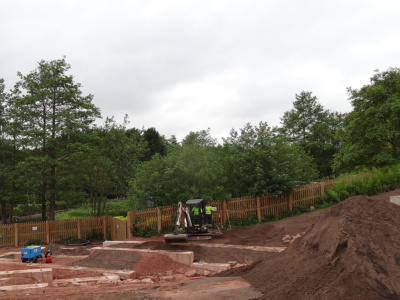 Work was continuing to further excavate the area in front of the large earth mound on site. Meanwhile over at the station building, timber construction is progressing well. 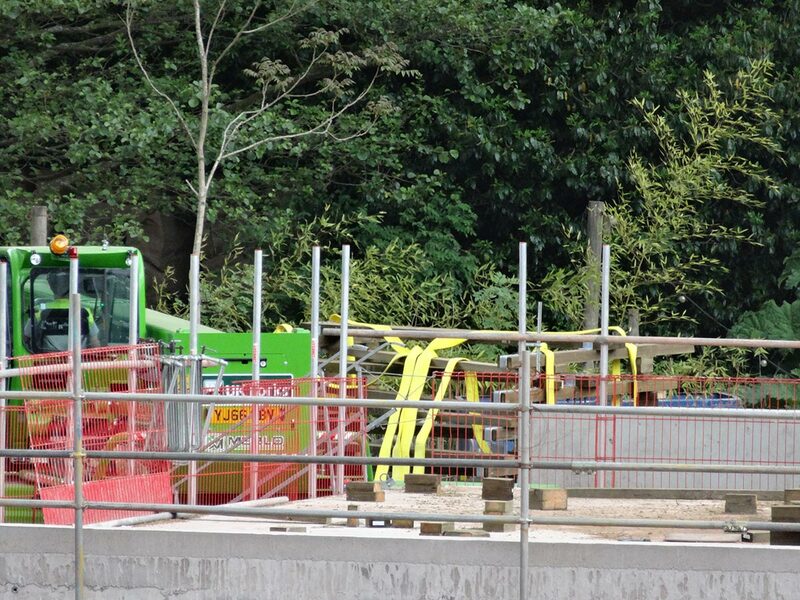 It seems kit was being moved into place to ramp things up in the coming days. 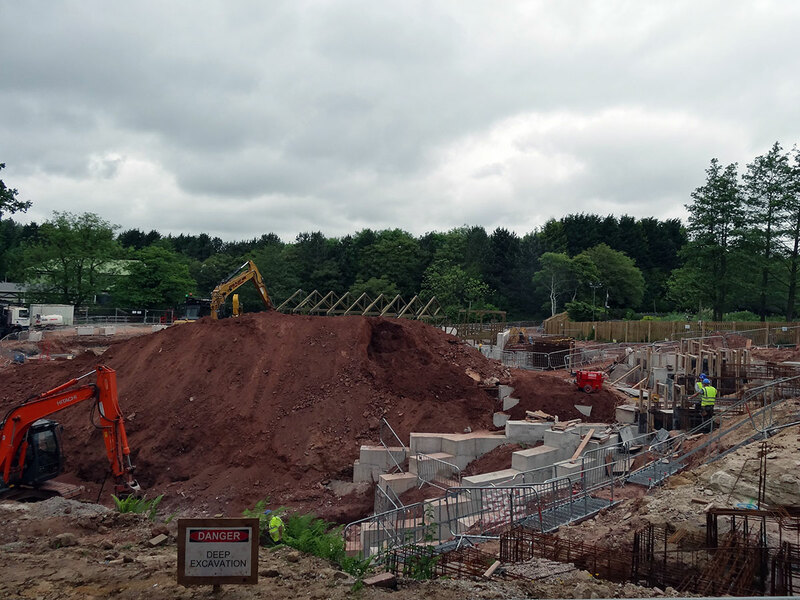 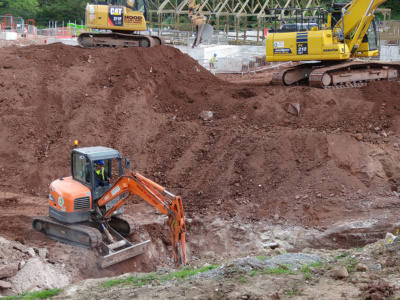 Groundwork was continuing at the top of the site (next to Congo River Rapids). 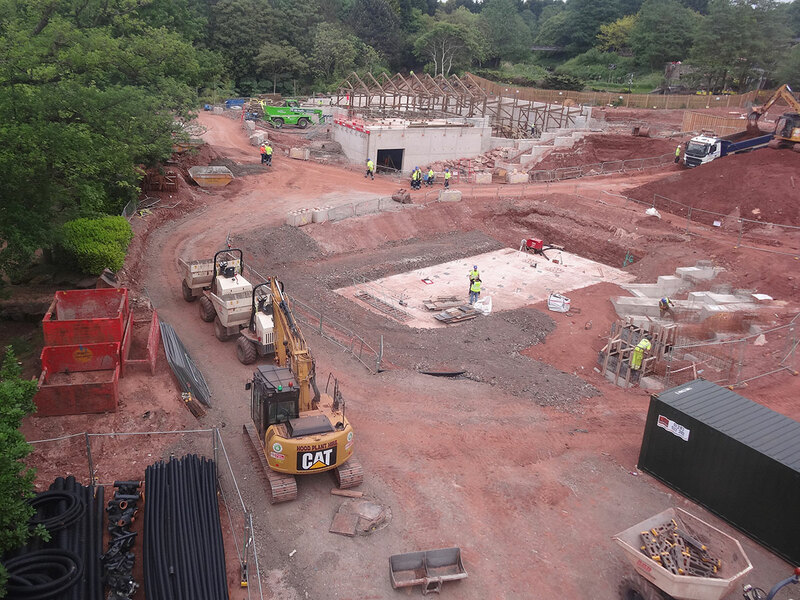 With brackets fixed into position in this area, and major groundwork such as concrete largely complete, it seems likely we’ll see timber construction here sooner rather than later. 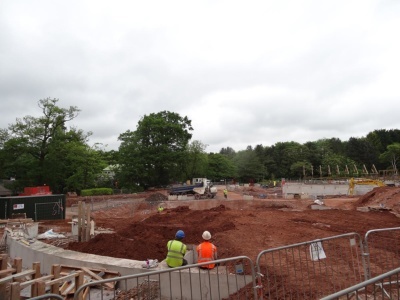 The overview from the top of the site really shows the height difference across the site. 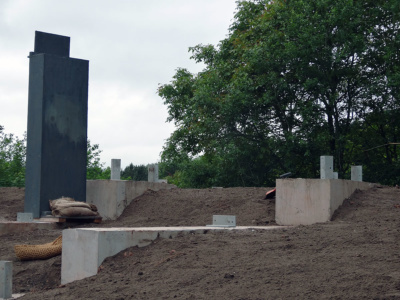 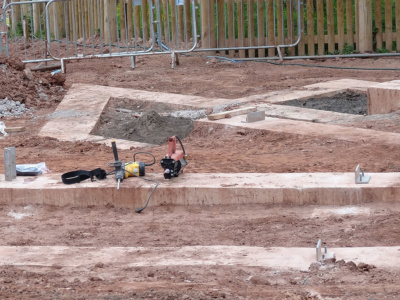 Elsewhere, the foundations for the theming element seem ready to go, with brackets and mounting points secured in place. 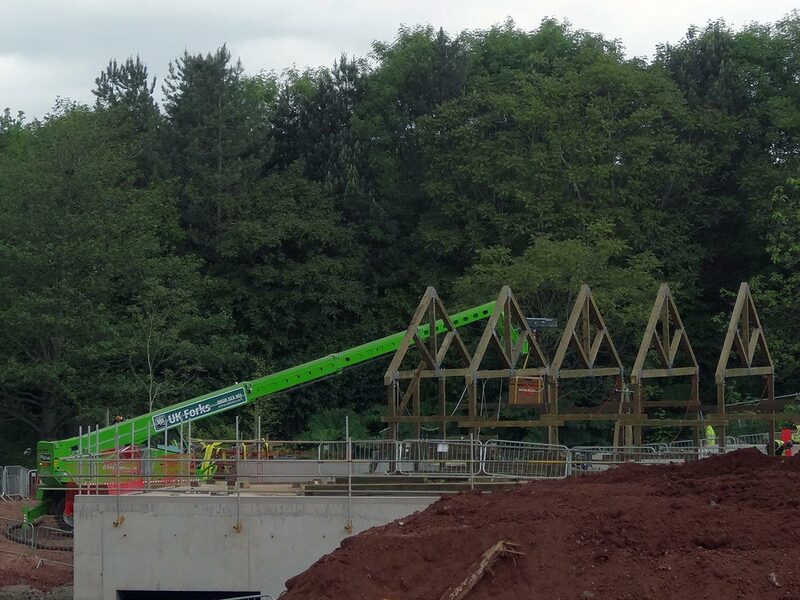 We also spotted forklift trucks bringing more timber in through the temporary roadway from the storage area in the former staff car park. 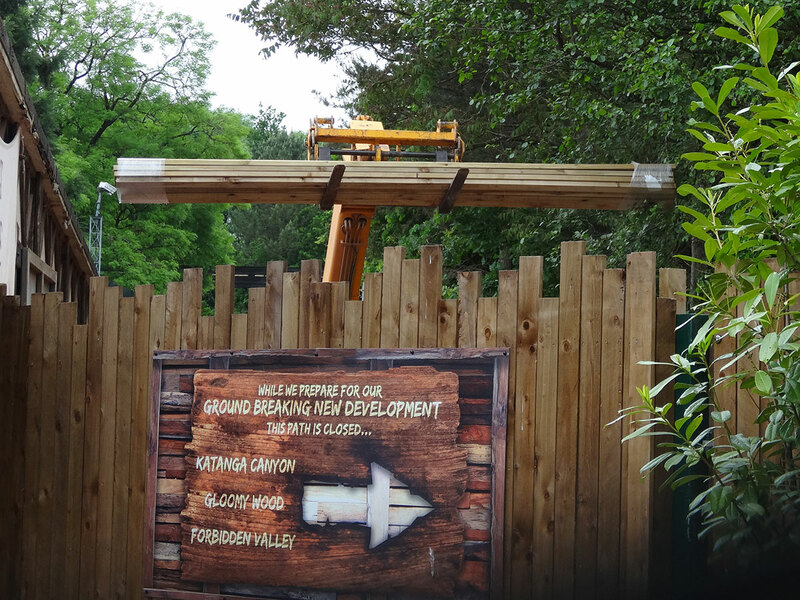 It’s a right squeeze through, but it just fits! Stick with TowersStreet for more updates in the coming weeks. We update LIVE from the resort regularly over on our Facebook and Twitter pages. 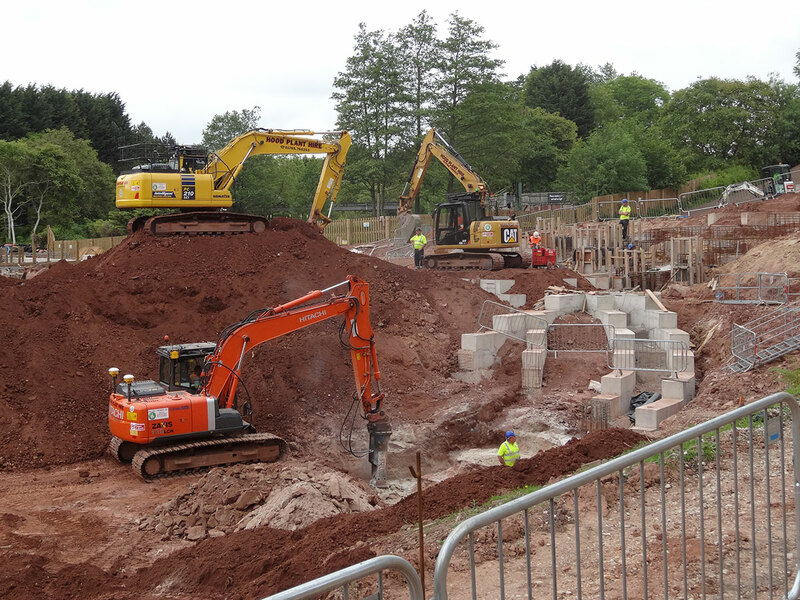 We’ll also be bringing you regular news updates on our website as the weeks progress.